CÚRAM Centre for Research in Medical Devices and Galway Film Centre are delighted to partner with the HRB Primary Care Clinical Trials Network Ireland and PPI Ignite @ NUI Galway for Science on Screen 2019. A fund of €35,000 is available to create a half-hour documentary on the topic of PPI. PPI refers to Public and Patient Involvement, which means that people who are likely to be affected by new treatments or programmes developed through research are directly involved in planning and shaping decisions about the research. PPI Ignite @ NUI Galway aims to bring about a culture change in how healthcare research is conducted across the University, supporting researchers to enable the public and patient voice to guide their research. 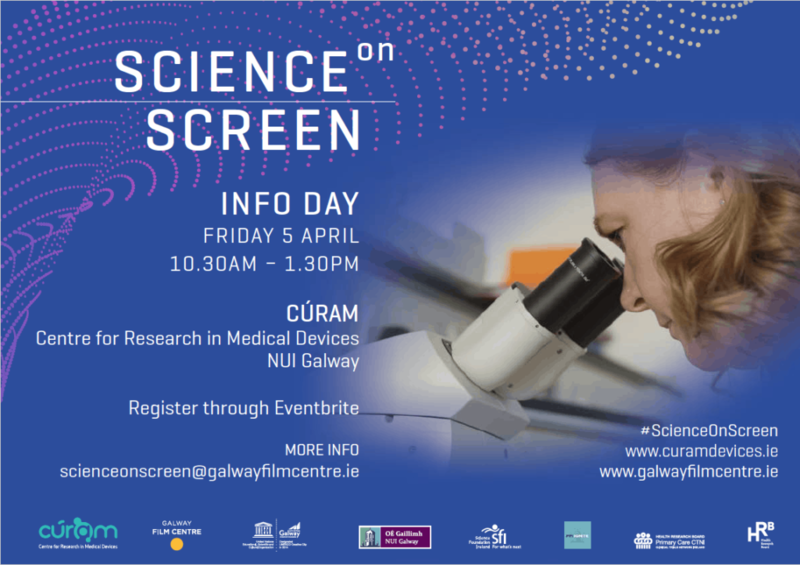 The Science on Screen Info Day for filmmakers will be held on Friday April 5th in CÚRAM, NUI Galway. In Ireland, many research teams have incorporated PPI excellently into their research, notably in the areas of intellectual disability, mental health, diabetes, primary care, chronic disease and dementia. This year, filmmakers are being invited to bring the story of PPI to the screen. 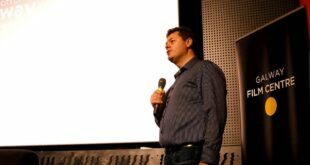 Science on Screen has been running since 2016 and is a fund for documentaries set in the world of science. 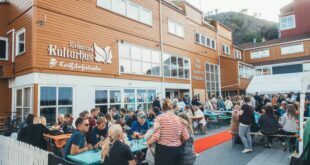 To date, four documentaries have been produced and they have been screened throughout the world, received national broadcast and won international awards. The films have reached an audience of over one million people. The info day will include speakers from PPI Ignite @ NUI Galway, HRB Primary Care CTNI, CÚRAM, Galway Film Centre and others and iis the perfect way to learn more about the subject of this documentary. The info day will commence at 10.30am and run for approximately 2 hours. 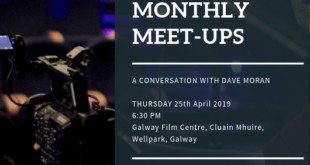 It takes place at CÚRAM, Biomedical Science Building, NUI Galway and it is necessary to book your place through Eventbrite. The schedule will be sent to participants in advance. To book a place, sign up at Eventbrite HERE. PPI Ignite is funded by the Health Research Board and the Irish Research Council. This documentary is funded by Health Research Board’s Knowledge Exchange And Dissemination Scheme 2018 awarded to the HRB Primary Care Clinical Trials Network Ireland, and supported by CÚRAM.